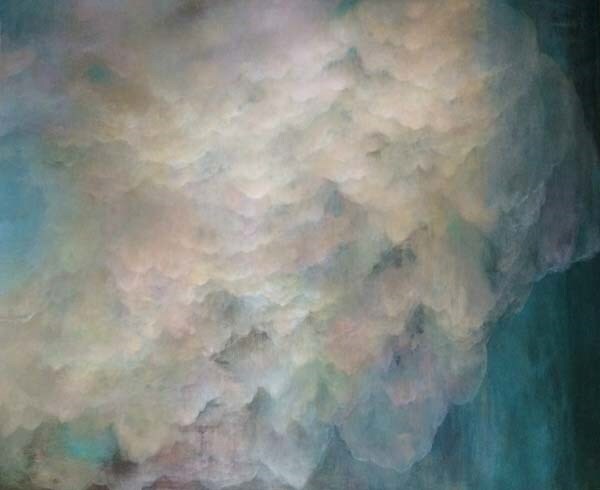 In a short statement about the painting, Sale said "This image could variously be read as approaching rain, a dust storm, smoke from a bush fire, ash pouring from a volcano, smog, or a chimney plume from industrial activity. All of these nebulous phenomena represent either climatic conditions or climate influencers. Cloud symbolises the uncertainty there is about our environmental future. The aim is for ambiguity and my concern is in no way to be didactic or literal. I have chosen to give the cloud a downward movement in order to intensify a sense of imminence and drama."